Ma Jun, founder of the Institute of Public & Environmental Affairs, told USA TODAY in a phone interview Monday that Apple agreed to the independent reviews in late January in response to two reports that IPE and other environmental groups released last year documenting hazardous-waste leaks and the use of toxic chemicals at suspected Apple suppliers. [...] An independent review is necessary to "make sure that (it) is done in a transparent way," said Ma, whose group has had half a dozen meetings and calls with Apple since mid-September. Because of Apple's size and success, activists are looking to Apple to lead the way and set the standard for responsible manufacturing in China. 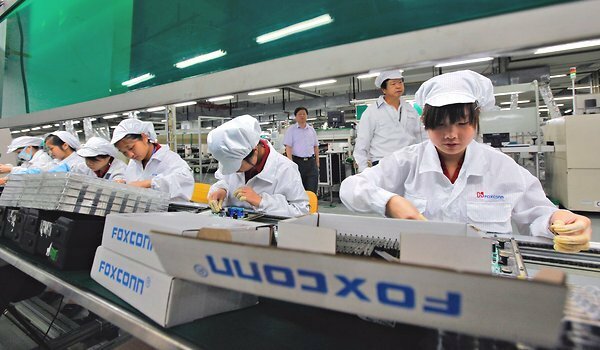 Foxconn said that salaries for many workers would immediately jump by 16 to 25 percent, to about $400 a month, before overtime. Foxconn also manufactures products for Dell, HP, and others. All this follows inspections by the Fair Labor Association and a tour by ABC News Nightline.